Woke up in the middle of the night shivering with my two cats practically lying on top of me for warmth. It's the first serious frost of the season. It's 38F out there and I had the windows open! Whoops! Had to turn the heat on just to get the chill out. I keep my house cold. I grew up that way and I like it that way. No higher than 66F in my house during the cold. I'm a huge fan of snuggling with blankets and kitties! No one is buying my polish. I guess I am going to either give up or truly open that Store Envy account I started. Oh but how I loathe having to take single pictures, crop them edit them and upload them with descriptions just for $3 a polish. Is it even worth it? Probably not. Maybe if I group some together like a pot luck kind of thing and do it that way. I've no idea. I'm still thinking about it. Not feeling all that good today. Woke up feeling meh. So I'm just going to get to it. 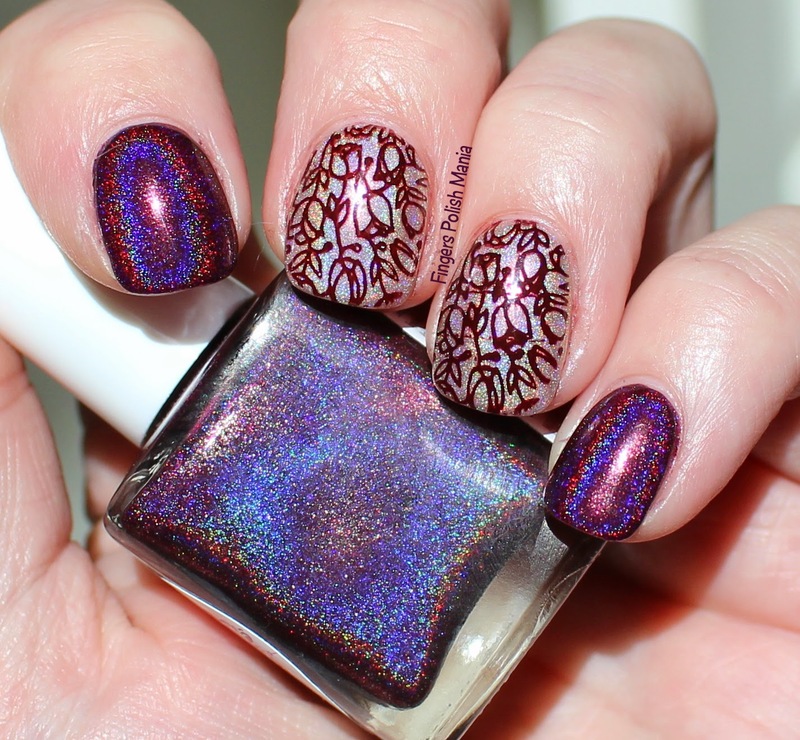 This is Anonymous Lacquer Fangalicious and Liquid Sky Lacquer Just Mauvelous. This polish is available now! I suggest you buy one and you will want to after seeing it on me! Oh yeah baby! See that white flash on my pointer finger? 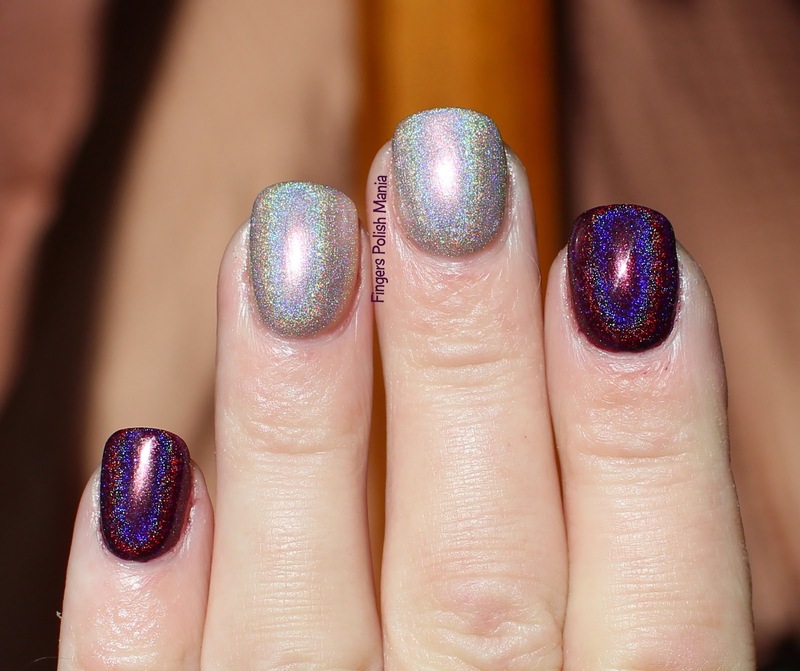 This holo kept freaking my camera out it's so strong! I LOVE it! 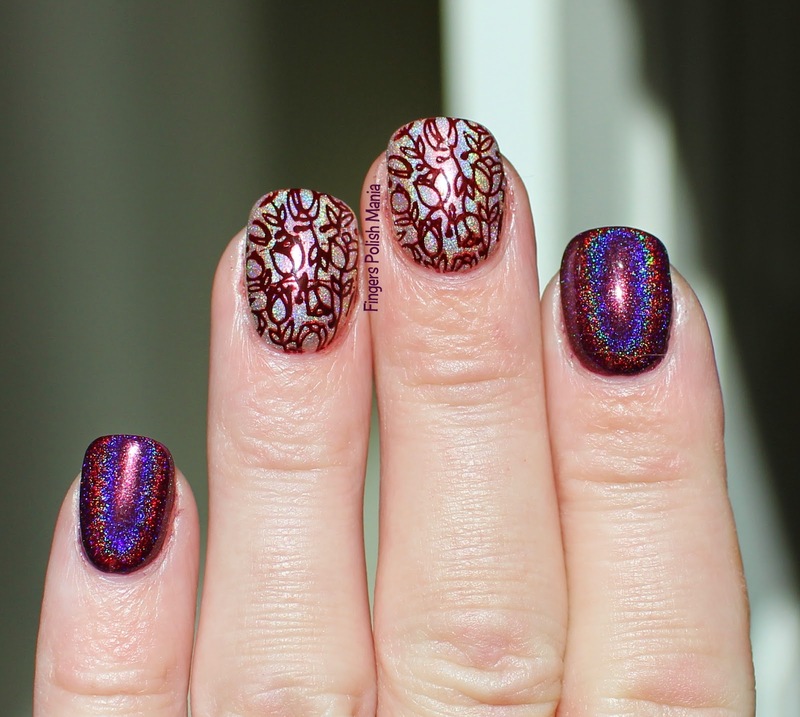 Next I stamped using a Konad polish and plate SDP-O. 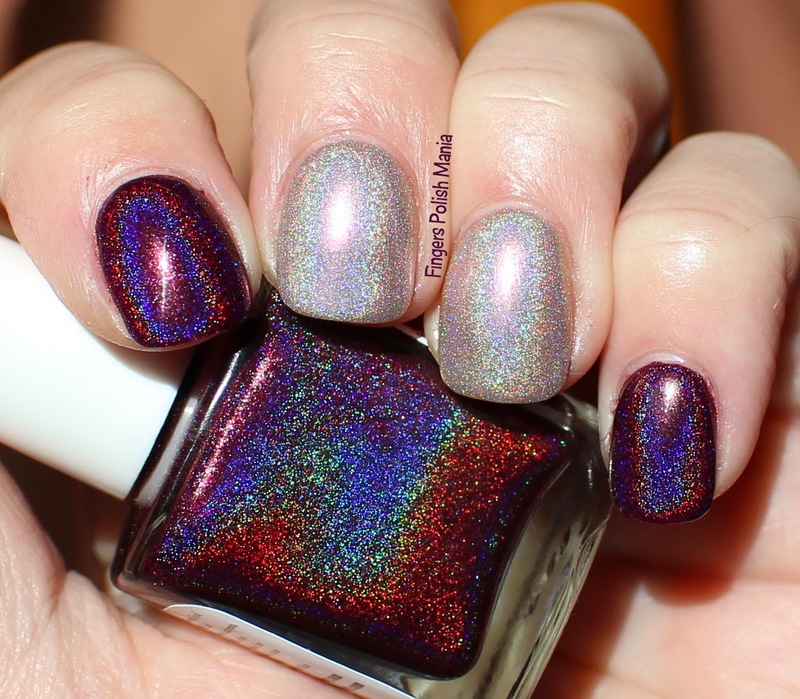 Oh how I love this holo! It's gorgeous! Look how amazing that linear rainbow is! Swoooooon. 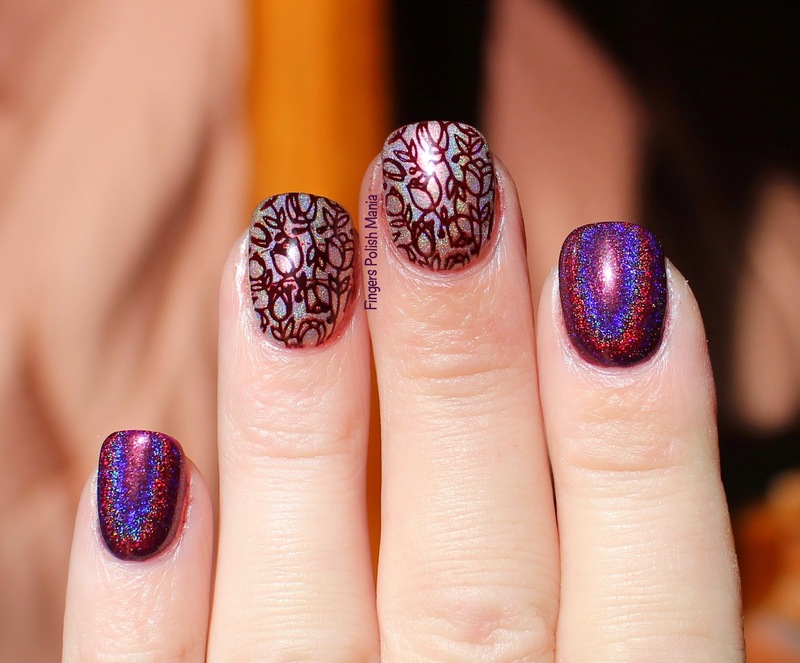 I once again tried advanced stamping but with acrylic paint and it was another huge fail. I just did simple. Run don't walk to Anonymous Lacquer and buy yourself one!